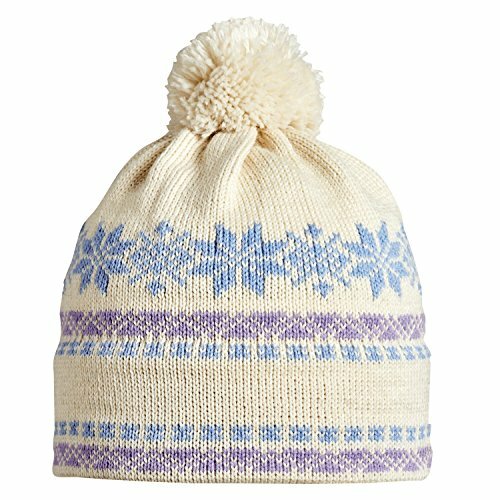 Traditional and timeless snowflake motifs and rolling stripes of Nordic patterns encircle this American made pom beanie for an authentic ski style winter hat. Built to stand up to the colder months, this heavyweight hat boasts all the benefits of a 100% wool composition, with the added bonus of handcrafted finishes and a high quality design. Knit in Vermont, USA in the traditional handcrafted manner passed down from generation to generation, our 100% wool Vermont Originals Knits are the perfect hats for cold weather. With its fleece lining composed of our super-soft Microfleece, your ears will never feel the wrath of winter.